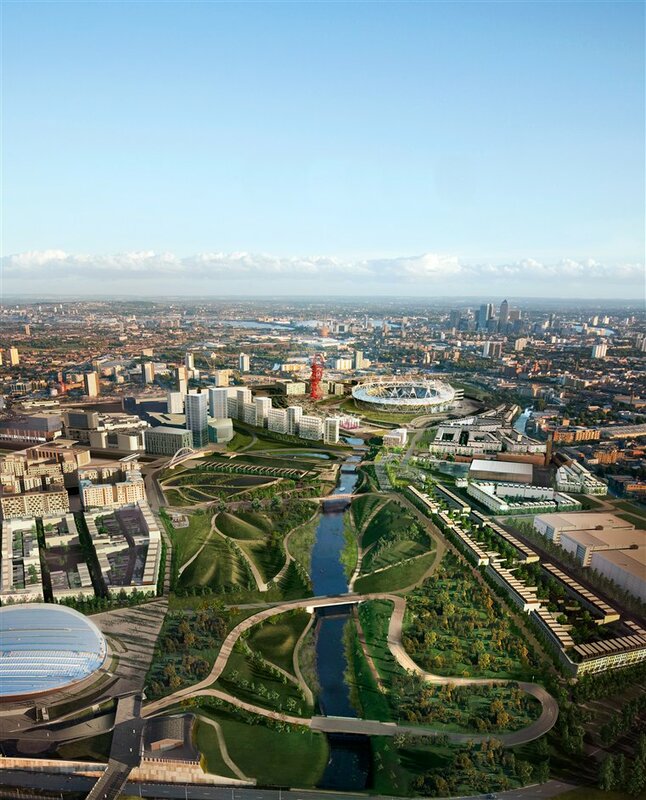 A year after the 2012 London Olympic Games, the former Olympic Park re-opened as the Queen Elizabeth Olympic Park - a site of over 250 acres of beautifully landscaped open space and 6.5 km of waterways. The opening of the north park on Saturday 27th July 2013 was the first phase of transforming the Olympic Park and the rest of the 560 acre park opened in spring 2014. The multi-use arena, known as the Copper Box during the 2012 Games, also reopened in summer 2013 creating the third largest arena in London for concerts, sports and community projects as well as cultural and business events. Made up of two distinct areas, the south of the park around the Stadium, the Aquatics Centre and the ArcelorMittal Orbit, is an urban entertainment plaza where a programme of events is run. The north of the park features a river valley, centred around waterways, parkland and green space - offering outdoor activities including the Tumbling Bay play area and cycle paths. Cyclists can also be able to use parts of the cycling venues used in the Olympics including the Velodrome, BMX course, outdoor road circuits and off-road mountain bike trails at the VeloPark. Both the VeloPark and neighbouring Eton Manor sports complex are open to the public, managed by the Lea Valley Regional Park Authority. New family homes, artists' workshops, pop-up restaurants, micro-breweries and street markets are also part of the Olympic legacy, as is the transformation of the Press Centre into five floors of office space. Queen Elizabeth Olympic Park gyms, sporting activities, health & beauty and fitness. What are the best dining options near Queen Elizabeth Olympic Park London? The best pubs near London Queen Elizabeth Olympic Park. Queen Elizabeth Olympic Park clubs, bars, cabaret nights, casinos and interesting nightlife. Where to have your meeting, conference, exhibition, private dining or training course near Queen Elizabeth Olympic Park. From cheap budget hotels to luxury 5 star suites see our deals for Queen Elizabeth Olympic Park hotels, including Holiday Inn Express London-Stratford from 90% off.